Not all food is created equally. Don't Settle Hire The Best. Far more than just a sushi experience. Artistry performed right before you. 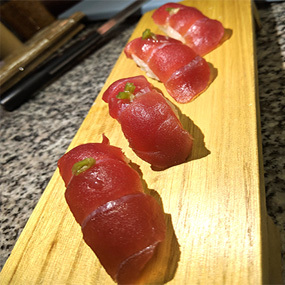 Started in 2005, by Chef MJ Scharaga, as Soyo Sushi, basically as a way to provide an outlet for his fanatical approach to sushi. The business always generated a buzz due to his nyotaimori sushi experiences, but was overlooked for his other culinary achievements. Chef Scharaga has truly embraced farm to fork and sustainable practices in his cuisine. As a chef, he's won several awards for his approach towards modernist cuisine. While he has always incorporated molecular gastronomy, to him its more important to focus on umami and flavor. Today, when people truly want the food for their events to standout, Ryori Modern is the catering service to turn to. Our goal is nothing less than exceptional. We also work with various other caterers and various services in the Los Angeles area. We cater sushi and various other cuisine to all of Southern California - Anaheim, Beverly Hills, Brentwood, Laguna Beach, Los Angeles, Malibu, Orange County, Palm Springs, Santa Monica, San Diego, West Hollywood and many more! We prefer fresh over frozen and handmade over machines. We make everything we serve. We offer many healthier catered options. Whether you have dietary restrictions, vegan, and so forth, we can cater a menu to meet your needs. 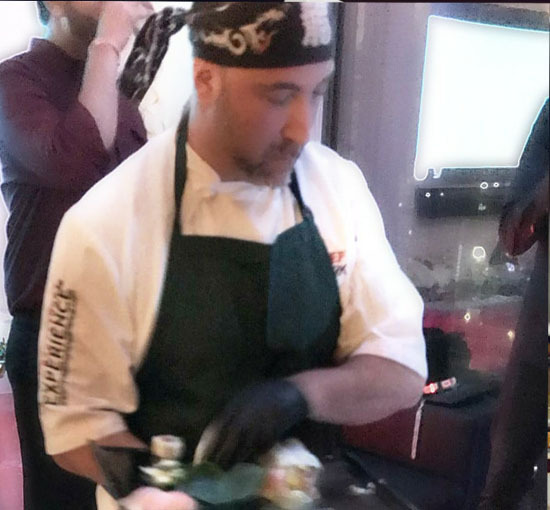 We see food differently from our catered sushi to our prepared meals, you will be amazed at what we can do for your next event. We always recommend booking as far in advanced as possible but feel free to contact us in an emergency. Our culinary team is led by Chef MJ Scharaga, but includes a variety of established chefs. Our goal is always to cater exceptional cuisine. We have created amazing catering experiences for large events and provided many intimate dinners. Each client is treated with respect and care. Some Chefs are lucky to have opportunity to build a solid foundation in the Culinary Arts. Some find their calling later in life, such is the story of Chef MJ Scharaga. While working in restaurants was ingrained at an early age when he bussed tables and washed dishes under the table, Chef Scharaga didn't truly realize his calling in life until as an adult he struggled in Corporate jobs. His appreciation for technique, skill and knowledge was unrivaled. He grew his arsenal of skillls over a period of time. 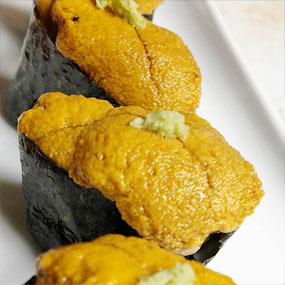 He began formal training on sushi in Los Angeles in 2008. And today is known as of the true culinary sushi artists in America. We can cater private dinner parties for up to 40 people. Our cuisine focuses on providing true culinary experiences using the most amazing ingredients available. Our VIP catering includes red carpet events and premier/wrap parties. We provide true upscale cuisine, various hors d'oeuvre, amuse bouche, and tastings for special events. We sit down with you and discuss your catering goals. When is comes to parties, we know how to make them truly rock! We offer terrific options for wrap parties, cast events, premieres, and exclusive screeinings. Our nyotaimori experience has been offered since 2005. We have served over 400 events during that time. 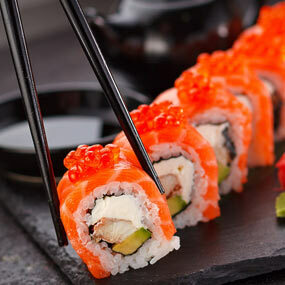 Our naked sushi is truly an upscale exotic dining experience. Certainly more bold and daring than other catering. We realize you have many options for catering and craft services in the Los Angeles and Southern California area. Our goal is to understand your needs and then far exceed them. We have worked with various media and production companies to provide service for VIP parties, screenings and unique events. Since 2005 we have offered amazing cuisine for events of all sizes and types. Our chefs have been featured in various media outlets and possess serious talent to make any event extraordinary. 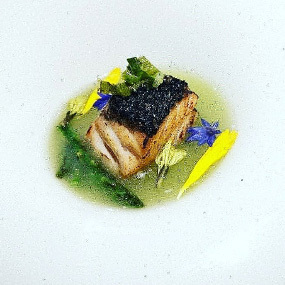 Our cuisine incorporates modernist vision and techniques. The cuisine is heavily influenced by Asian elements. "Thank you so much. Everything was great!" As usual exceded our expectations. Best sushi. Amazing presentation. You made our party truly special! The sushi was amazing.